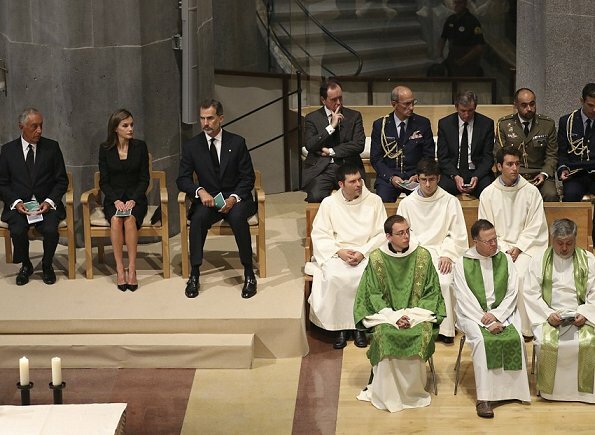 King Felipe VI, Queen Letizia of Spain and Portugal's President Marcelo Rebelo de Sousa attend a mass to commemorate victims of two devastating terror attacks in Barcelona and Cambrils at Sagrada Familia church in Barcelona on August 20, 2017. 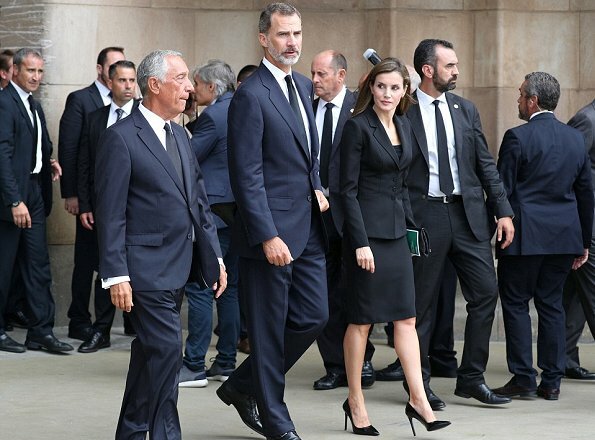 The gentleman who speaks with King Felipe is Portugal's President, Marcelo Rebelo de Sousa. 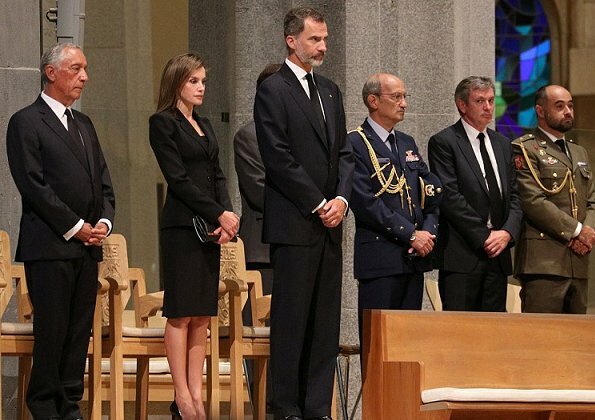 Among the deceased there are two Portuguese citicens. God bless the victims and help their families to overcome their pain. Here on Barcelona we are stll in shock. Speaking as someone from Canada, who lost a fellow citizen to the disaster, we are in solidarity with the people of Spain, and especially Barcelona. Our deepest sympathy to you all. My thoughts and prayers are with the families of the deceased and injured, with the people of Spain, Barcelona, Cambrils and the countries touched by this tragedy. God bless you all. Tots som Barcelona. Todos somos Barcelona. 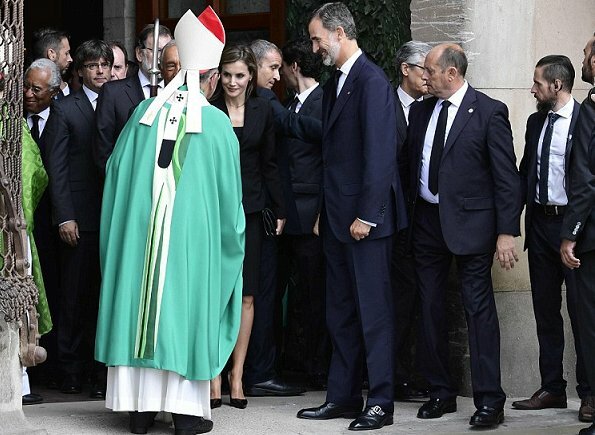 ¡Todos somos España!